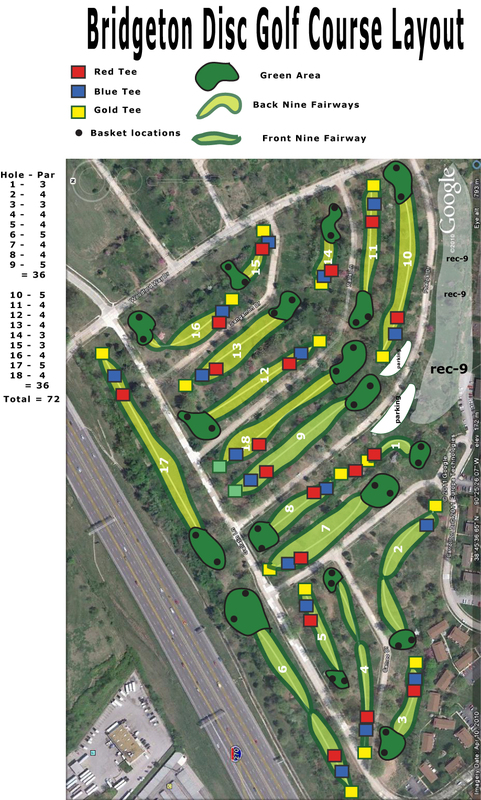 Several St Louis disc golf club members have been working on an 18 hole layout in Bridgeton. Heres an overhead map of what we have so far, it still needs some tweaking and we would love more help. Hopefully we will get a chance to set it up and play to see what players think. i just heard about this today while playing at jb. i would love to support this in whatever way i can. do they have temp baskets on weekends or anything?